Blast off to the 25th century with Capt. 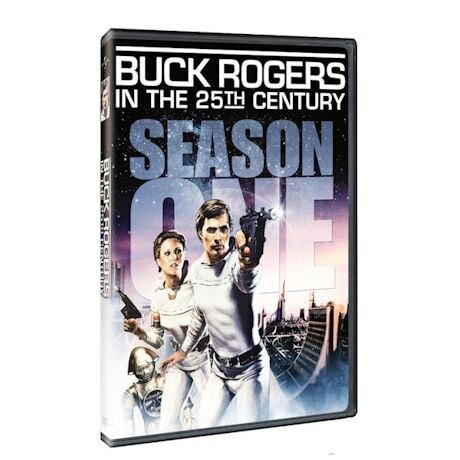 William "Buck" Rogers (Gil Gerard). A 20th-century astronaut who's accidentally frozen on board his spacecraft in 1987, then found and revived in 2491, he helps Earth Defense foil plots to conquer the planet, which barely survived a nuclear war. With Erin Gray as Col. Wilma Deering and Mel Blanc as the voice of Twiki, the robot, this action-packed sci-fiseries ran for 2 seasons on NBC in the 1970s. 21 episodes, 19 ½ hrs, 6 DVDs, SDH. All 21 episodes from the first season are included.